Across the lake to a glorious age. 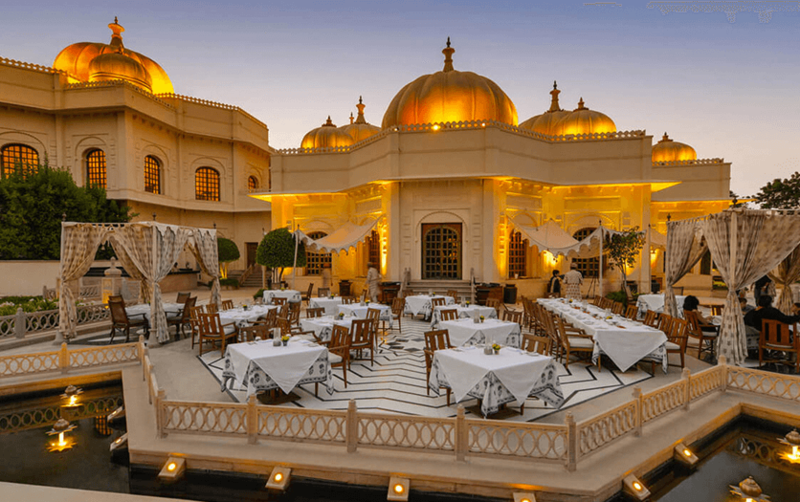 Fondly known as the “City of Lakes”, Udaipur, the erstwhile capital of the Kingdom of Mewar, is resplendent with vast hilltop forts, palaces, temples and gardens that serve as reminders of its majestic history. 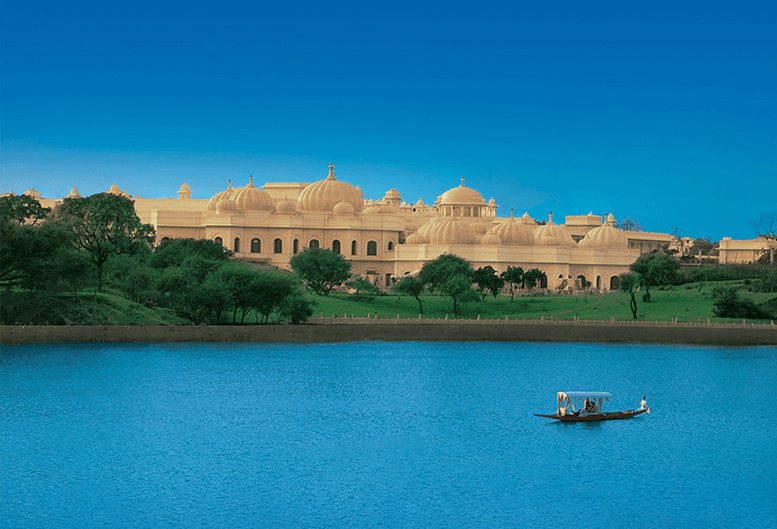 Falling in love with the charm of the “City of Lakes” is easy when you are staying at The Oberoi Udaivilas. 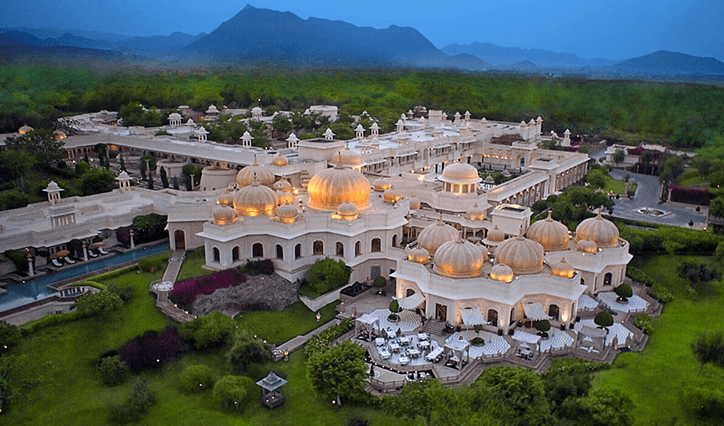 Located on the banks of Lake Pichola, our resort is spread over 30 acres of luxuriant gardens, with an intricate layout of interconnecting domes and corridors that reflect the layout of Udaipur itself; whose seven lakes are linked by canals. 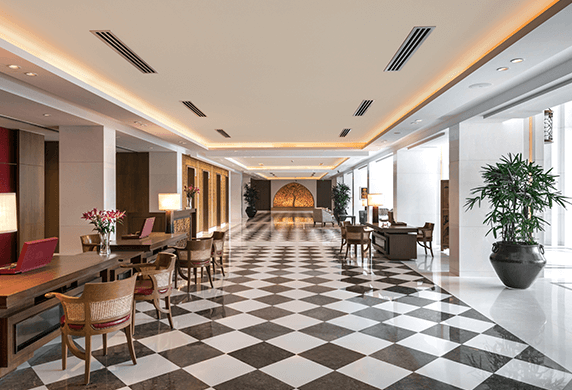 Superior accommodations, fine restaurants serving signature cuisine and a quiet emphasis on your wellbeing with daily yoga and personally curated spa treatments. 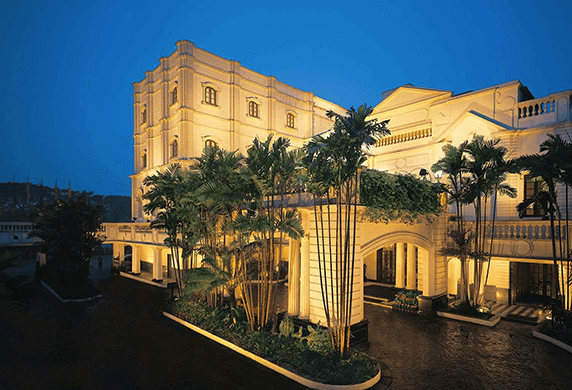 All brought alive by the sincere attention to your every need that is distinctively Oberoi. 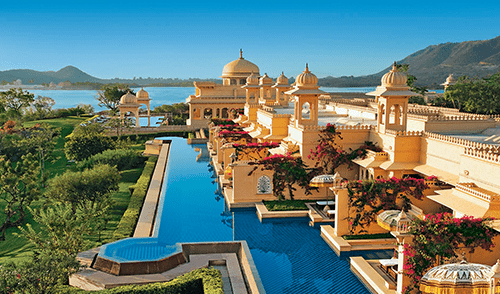 Located in the western Indian state of Rajasthan, Udaipur is one of the most romantic cities in India. 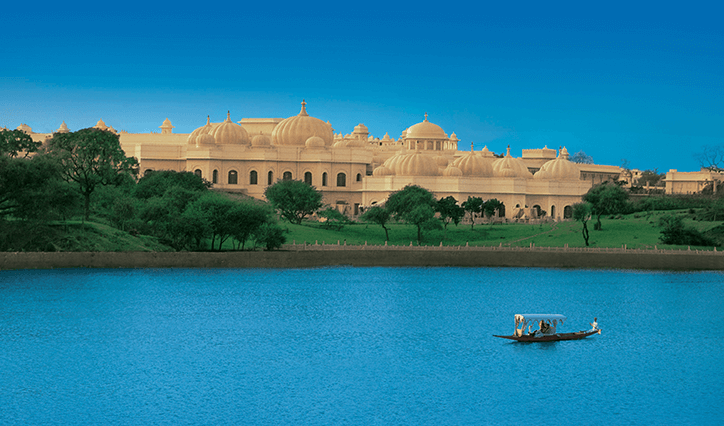 The city is set on a series of lakes dating back to 1362 and is renowned for its opulent royal palaces. 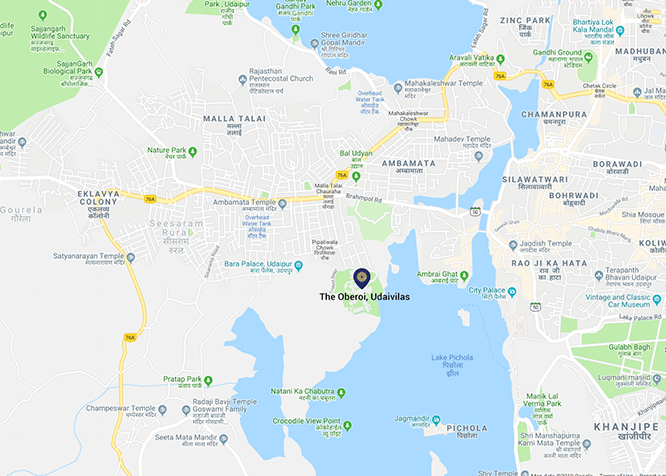 Situated on the banks of Lake Pichola, The Oberoi Udailvilas can be reached by car or via a short and stunning ride on our private boat. We recommend the latter. the garden and the lake beyond. 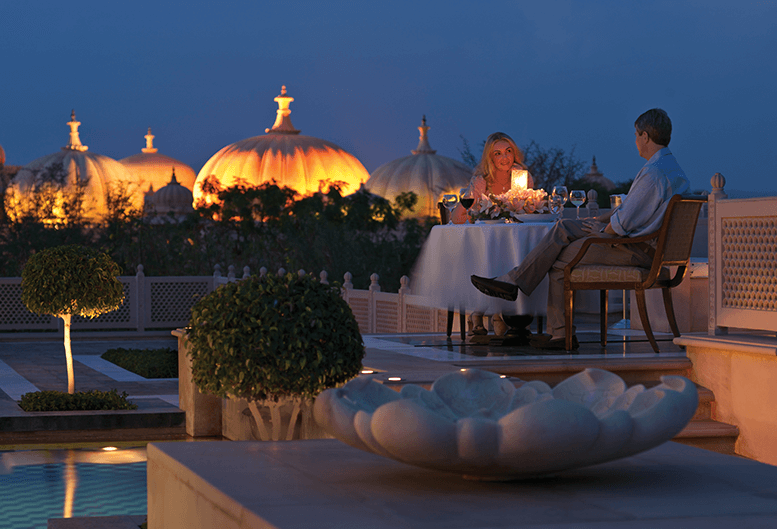 A bespoke candle-lit dinner for two with the stars above. 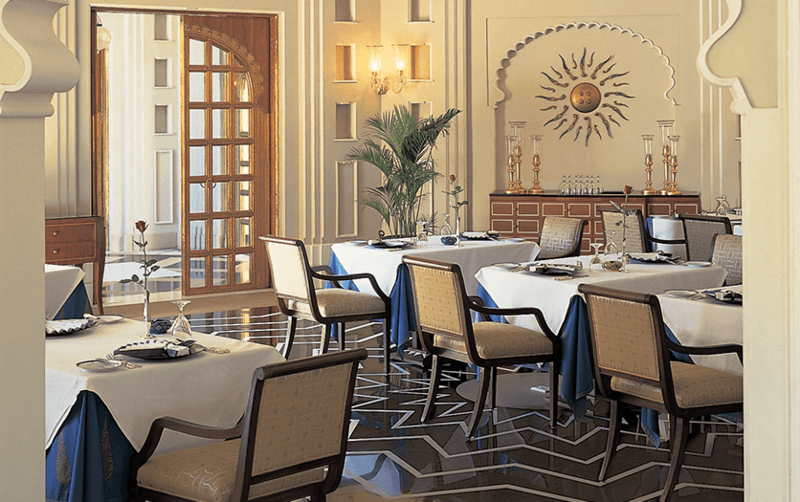 Our evening fine dining restaurant: Udaimahal is the perfect setting for a special occasion. 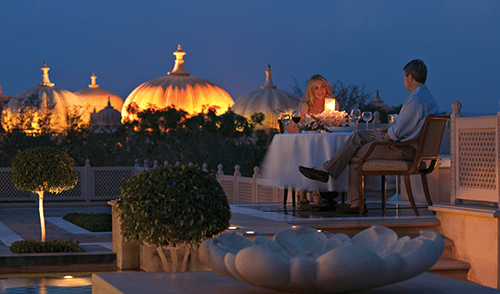 Under a starry, night sky painted dome, you can enjoy Indian delicacies and reinvented classics accompanied by live music, and romantic views across Lake Pichola to the sparkling lights of City Palace. 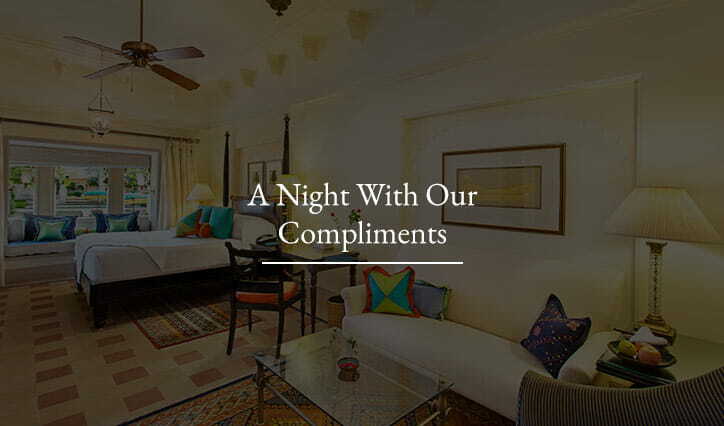 All complemented by our intuitive, unobtrusive service. Open from noon until midnight seven days a week, The Bar features traditional archways and domes, naturally lit during the day and glowing in the light of glass lamps after sunset. 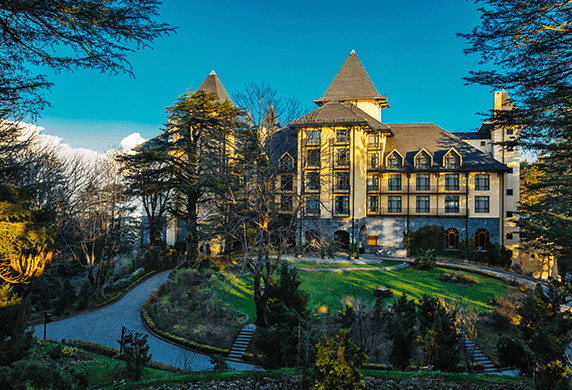 Here, you can relax with a fine gin, martinis, margaritas, alcoholic coffees, frozen cocktails and soft drinks, beside uninterrupted views of our lush gardens and the lake beyond. 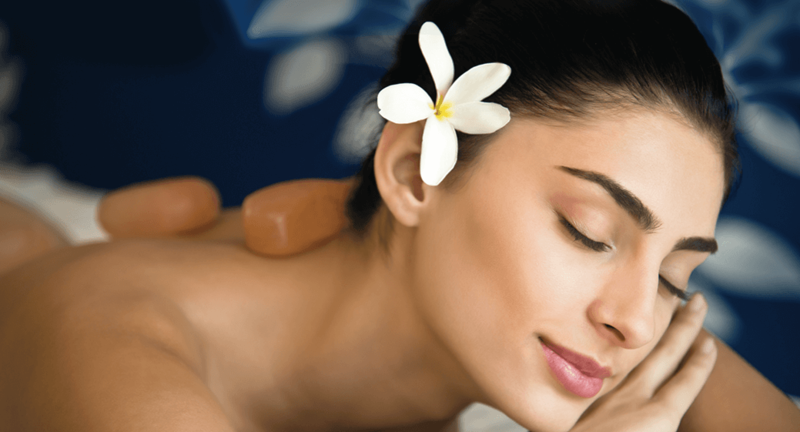 Unwind with an Oberoi signature massage. Take a dip in our temperature controlled pool. Or work up a healthy sweat in the fitness centre. 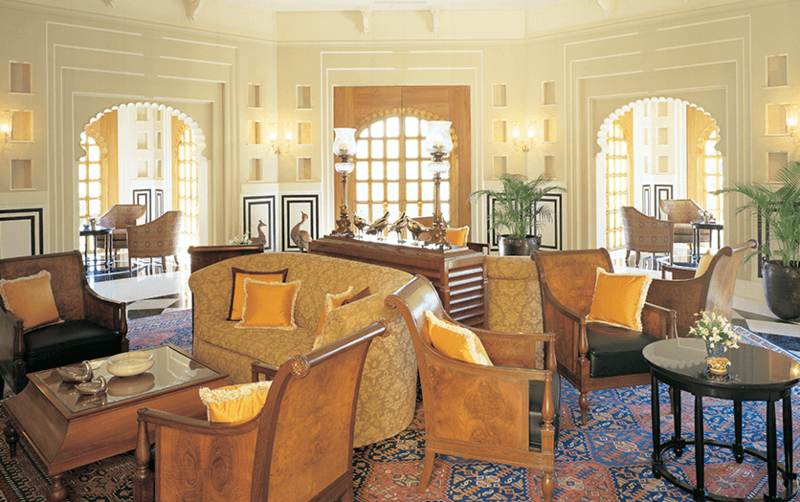 The Oberoi Spa Our spa features Mughal archways, a sunlit courtyard and its own swimming pool. 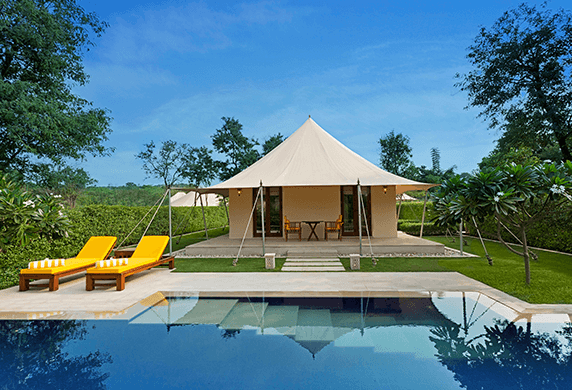 We have private treatment rooms, offering lily pond views, with a massage bed, a shower and a steam room. We also have a spa suite for couples. 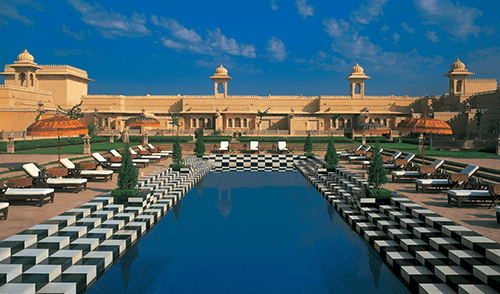 Swimming Pool We have two temperature controlled pools with Mughal inspired design features. All guests are welcome to use the main pool. The Spa pool is for adults only. 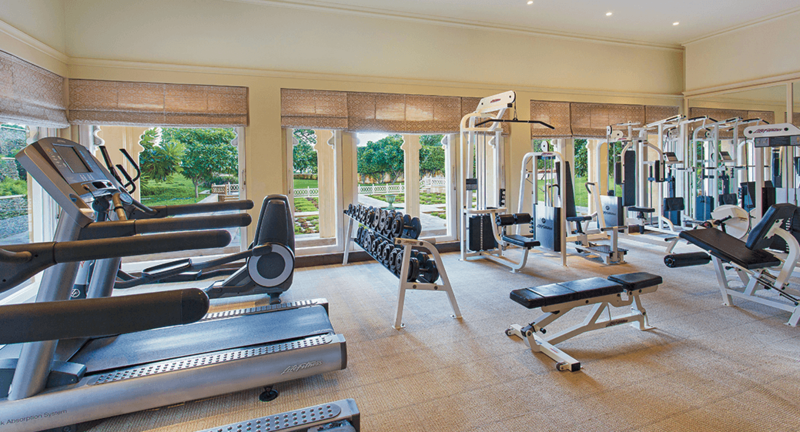 Fitness Centre Located in the Spa block, our fitness centre includes cardiovascular and weights machines and offers pleasant garden views. The first colours of evening, a stroll to dinner through the soft lights that illuminate the tiered garden, the scent of jasmine. 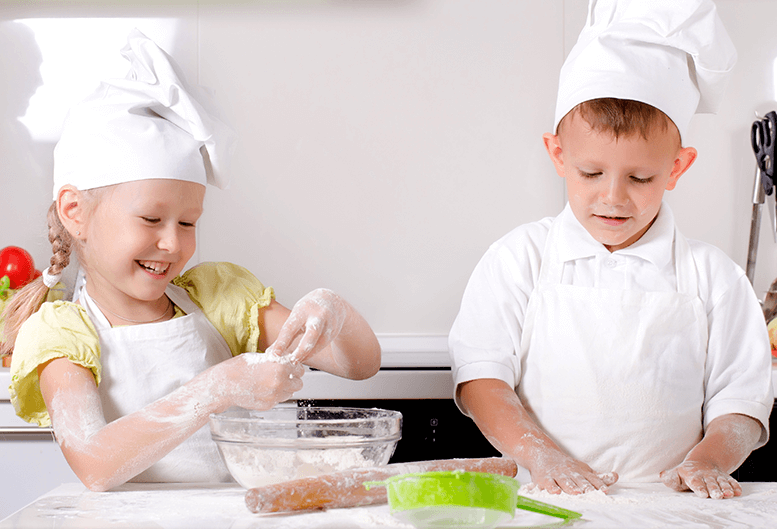 The feeling of a day well spent. 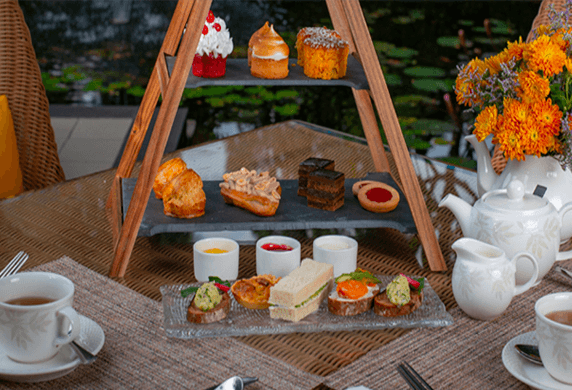 Take your time over a specially curated menu, accompanied by live traditional music and folk dance. 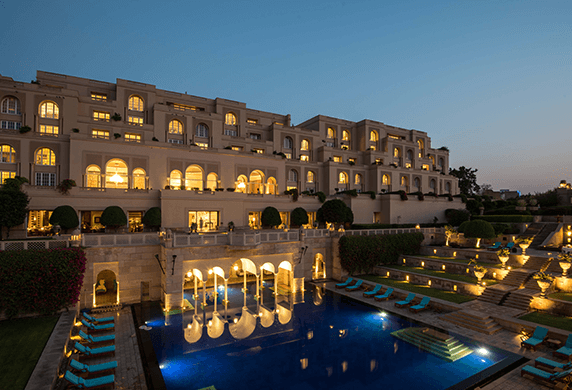 All complemented by night time views of City Palace and Jagmandir across the lake. 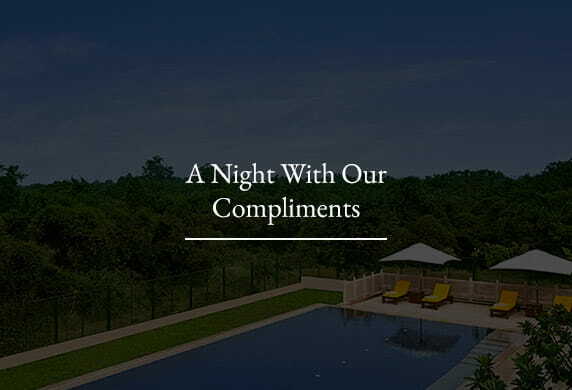 And topped off with our sincere service. 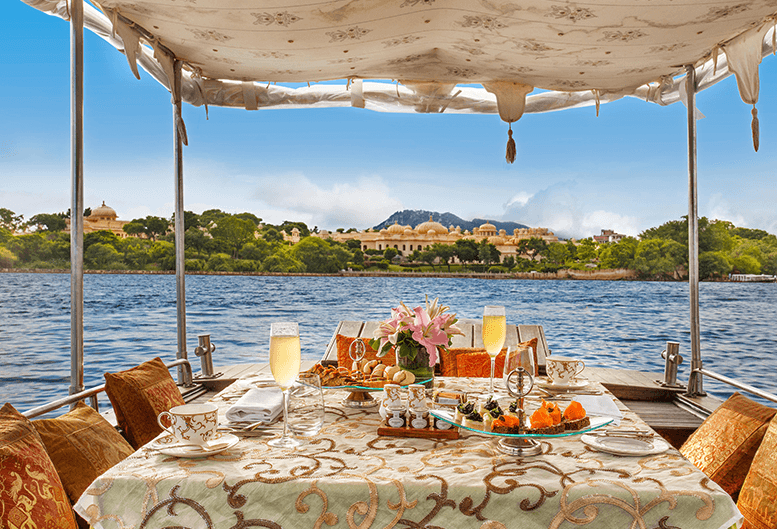 Perfect for a special occasion for up to twelve guests..
Take a tour of Udaipur: The Venice of the East, from the water. 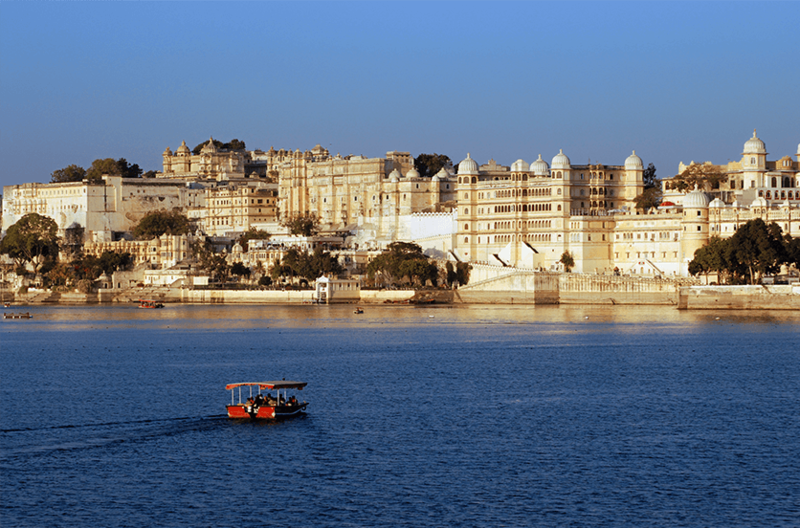 As you cruise past historic sites in a boat, our expert guides will let you into the secrets, little known facts and myths about the Maharanas of Mewar and Udaipur itself. 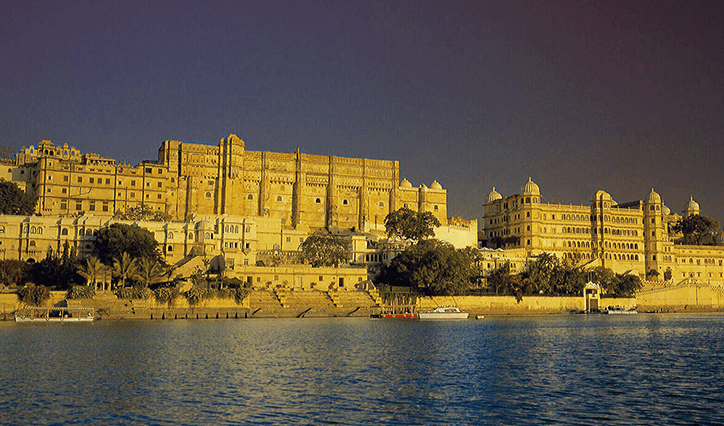 History, culture, scenery and Rajput-era palaces await in 'The City of Lakes'. 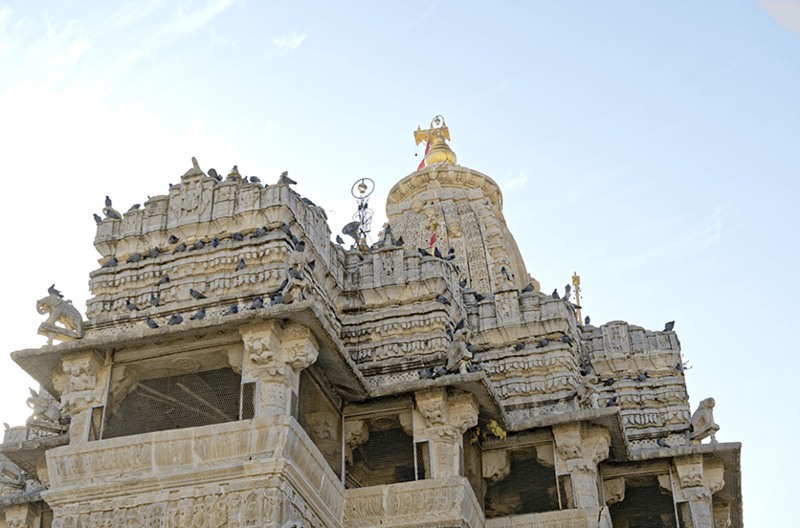 Jagdish Temple was built in 1651 and dedicated to the Hindu Lord Vishnu. The temple has an awe inspiring 79 feet high pagoda adorned with sculptures of dancers, musicians, elephants and horsemen. 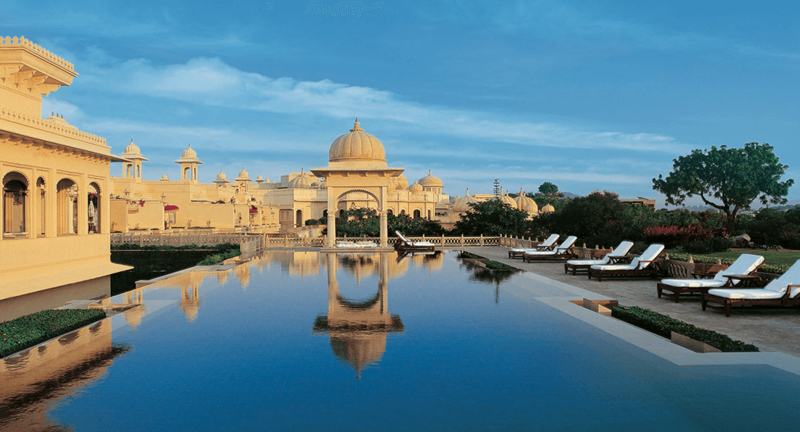 It is the city's largest and most resplendent temple. The “grand bazaar” is a lively market where street side stalls and modern showrooms jostle for attention. 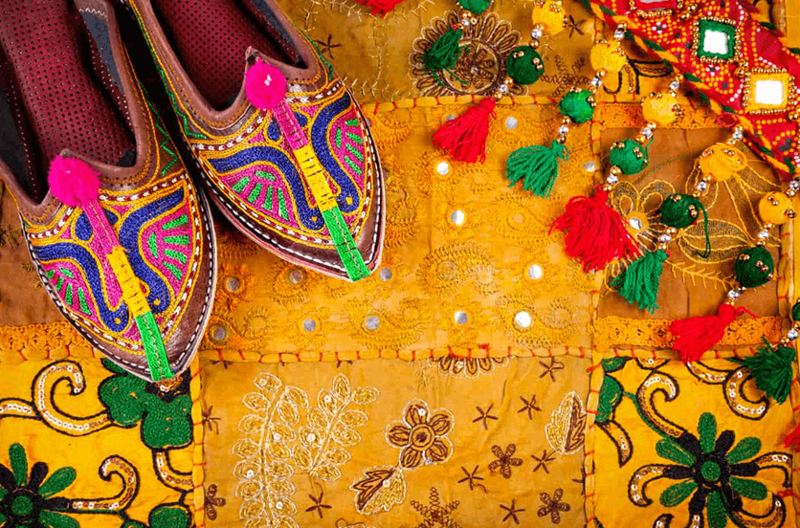 Excellent souvenirs can be found here, including jewellery, traditional shibori hand dyed fabrics, camel leather bags and footwear, and much more, at reasonable rates. 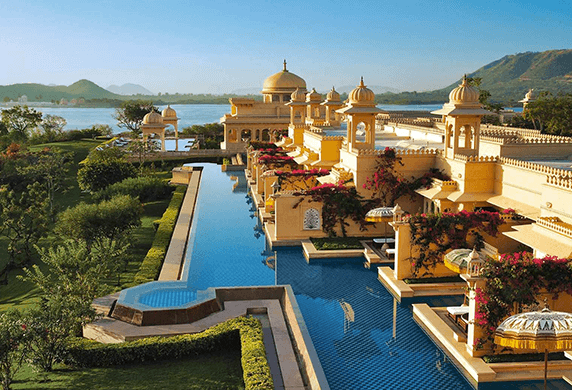 Udaipur is also famous for its miniature paintings. 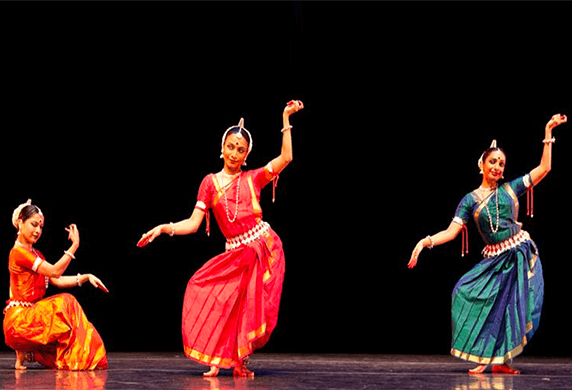 Shilpgram is a rural arts and crafts complex spread over 70 acres against a beautiful backdrop of the Aravalli Ranges. 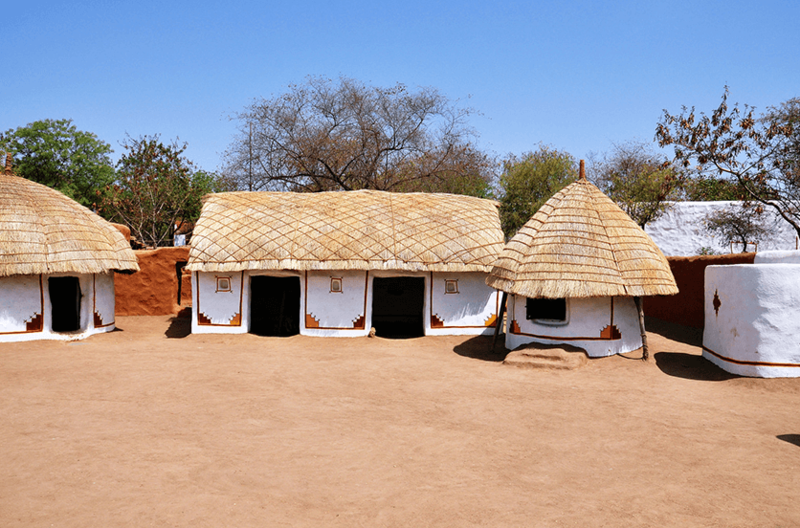 Conceived as a living ethnographic museum, it showcases the lifestyles of local indigenous communities. 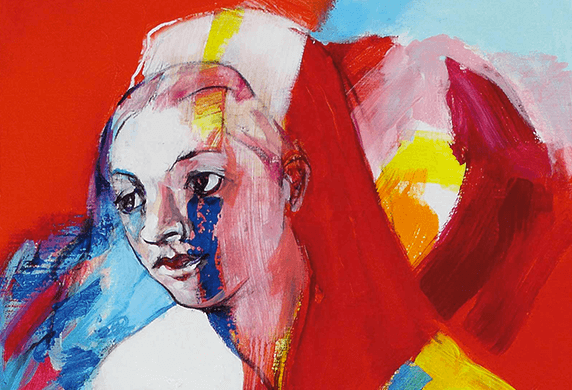 It is a good place to purchase traditional arts and crafts.